National Infant Immunization Week ended this week, so we helped connect you to resources. Protect your baby from 14 serious diseases by age 2. Besides whooping cough and measles, what other diseases do vaccines protect against? Did you know protection from vaccine-preventable diseases starts before birth? Have you ever wondered how vaccines protect your child against diseases? Have your kids missed one or more of their shots? This tool can help you catch up. Quickly see when your child needs each vaccine with immunization schedules. Shots can be stressful. Learn how to comfort your kids when they get one. Vaccines save between 2 and 3 million lives each year. The first and most important thing you can do is make sure your family is up-to-date. This week is also the 20th anniversary National Infant Immunization Week to raise awareness about protecting kids from vaccine preventable diseases. Are your kids up-to-date? 16% of kids around the world aren’t being vaccinated against measles, which lets outbreaks happen. 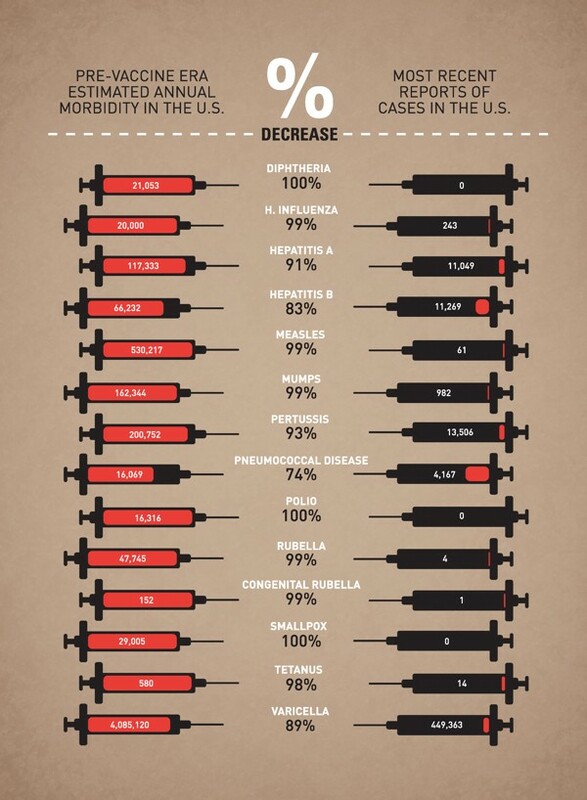 Learn more about why we need vaccines. See rates of vaccination for different diseases around the world and learn about where needs help. Do you know the myths about #vaccines? Learn more about why they matter and protect your family. What programs are we supporting around the world? Learn more about how the CDC is helping. 25 diseases can be prevented by vaccines, and measles deaths dropped 78% as the vaccine spread around the world. Learn more.